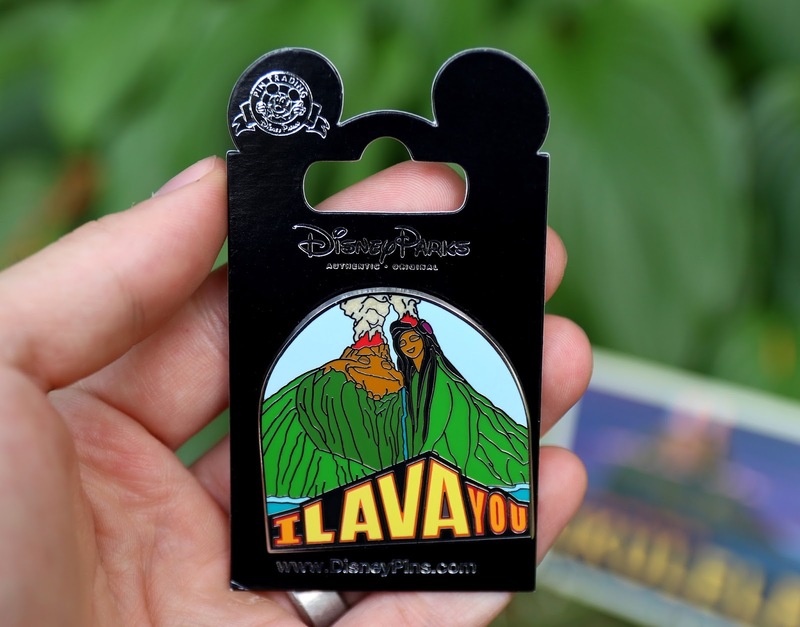 Last holiday season, right around Christmas time, I saw that this fantastic Disney·Pixar LAVA pin was available at Disney Parks and totally fell in love with it. It wasn't too long before it was listed for purchase through the Shop Disney Parks app and I snatched it up as soon as I could—or so I thought. A few days later, I got an email telling me that the item I ordered was not in stock. It was such a bummer! Time went on and I kept the pin in mind when we went to Walt Disney World in April (hoping that it would still be around). I searched all over, but still didn't have any luck. The app listed it being in stock at several locations in Animal Kingdom, but it turned out to be false information. Again, bummer. Yeah I could have resorted to eBay and paid a little more, but I didn't feel it was that crucial. That leads me to our recent visit to Disneyland last week. 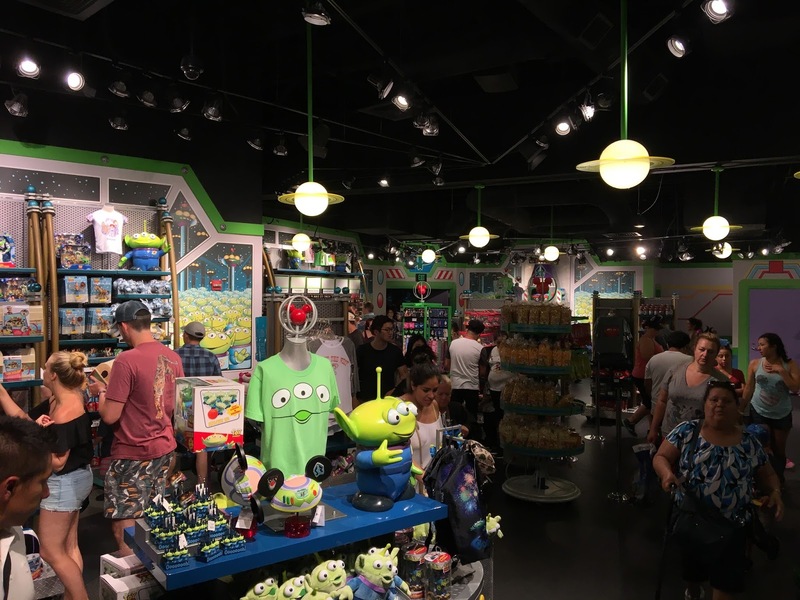 During our last night (not even thinking about this pin at all; honestly I had forgotten about it at that point), I popped into the "Little Green Men: Store Command" shop in Tomorrowland to look around like usual...and there it was! I was thrilled. I really adore LAVA. I know it's kind of polarizing (people either seem to love it or hate it), but I think it's up there with some of my favorite Pixar shorts. So of course this was a must have for me, especially since any other LAVA merch out there is close to nonexistent. On the front of the pin, Uku and Lele look charming and vibrant forming their "Ukulele Island" (reminiscent of one of the final shots of the film). "I LAVA YOU", as you know I'm sure, is straight out of the song's lyrics sung during the film. 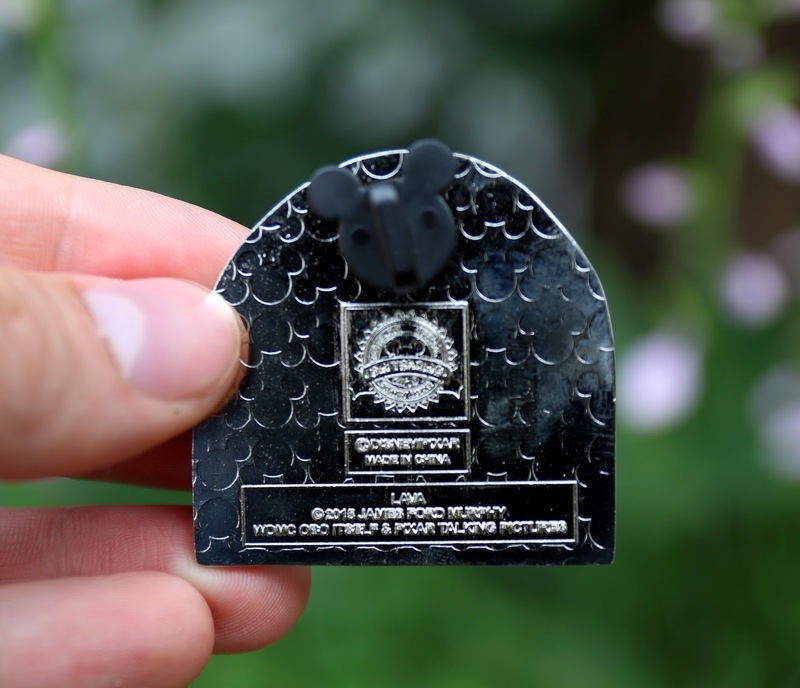 On the back you'll find the "Authentic Official Disney Parks Pin Trading" logo and the 2016 date stamp. The director and song writer of the film, James Ford Murphy, is also noted on the back for copyright purposes with the 2015 date stamp (for when the film was released). Finally, a typical classic Mickey shaped pin clamp is included on the back as well. I'm sure this is available elsewhere in Disneyland as well, but if all else fails, definitely check the Little Green Men gift shop if you're interested in picking this up (since that's where I can confirm it's sold as of now). If you're not going to be at Disneyland anytime soon however, you can always check out this direct link to current eBay listings. Let me know what your thoughts are on this LAVA pin (or the short film itself) in the comments below!